Foundry Intel –Altera is the beginning… Is Apple Next? IFTLE first asked the question "Intel becoming a Foundry?" back in 2011 [see IFTLE 23, "Xilinx 28nm FPGA,Copper Pillar Advances at Amkor and Intel looking at Fab options"] when they entered into an agreement with Achronix Semiconductor. IFTLE ended this segment with the comment "While Intel is brushing this off as unimportant, I would keep an eye out for further developments." Well, last week Altera and Intel entered into an agreement for the future manufacture of Altera FPGAs on Intel’s 14nm tri-gate transistor technology. In what some see as Altera’s attempt shift the headlines from Xilinx 2.5D technology splash of 2011-2012, Altera remarked that "using Intel 14nm technology will enable customers to design with the most advanced, highest-performing FPGAs in the industry," adding that they were "the only major FPGA company with access to this technology" which they feel gives them a significant advantage in "power, performance and density." Altera still plans to use TSMC as its primary foundry but this ends the 20-year dominance of TSMC as Altera’s sole foundry. 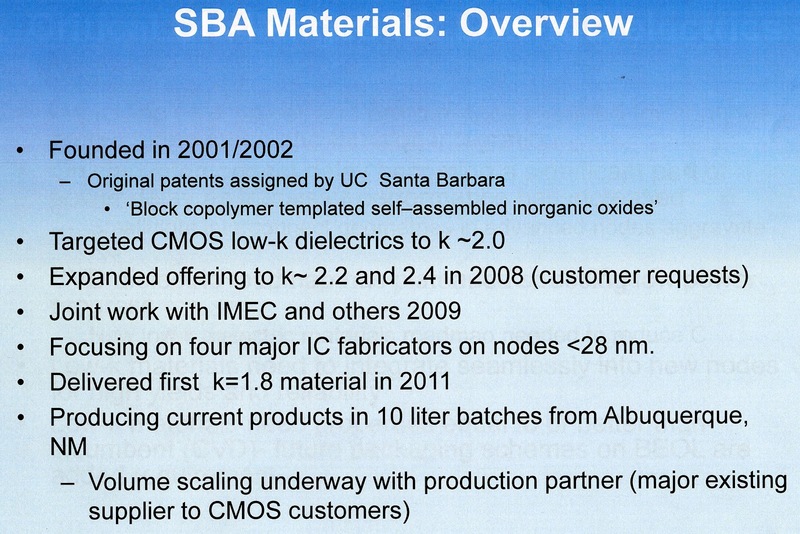 This could signal the start of more intense competition between TSMC and Intel. Rumors abound that the next Intel target in this potential TSMC-Intel battle would be Apple. Our friends at IC Insights took a look at 300mm wafer capacity leaders and found that half are primarily memory suppliers, two are pure-play foundries, and one company, Intel, is focused on MPUs [Global WaferCapacity 2013—Detailed Analysis and Forecast of the IC Industry’s Wafer FabCapacity]. 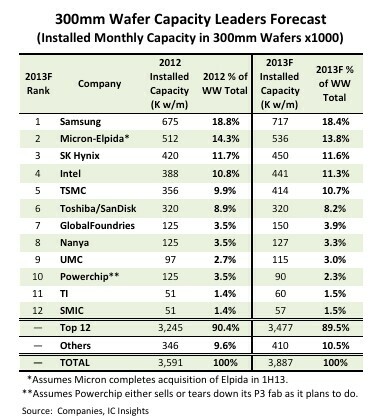 Samsung was by far the leader in 2012, with about 61% more 300mm capacity than second-place SK Hynix. Intel was the only other company that held a double-digit share of 300mm capacity at the end of 2012. Assuming Micron is successful in acquiring Elpida in 1H13, the combined 300mm wafer capacity of the two companies will make the merged company the second-largest holder of 300mm capacity in the world behind Samsung. IC Insights expects the largest increase in 300mm capacity to come from the foundries—TSMC, GlobalFoundries, UMC, and SMIC who are projected to more than double their collective 300mm wafer starts per month by 2017. 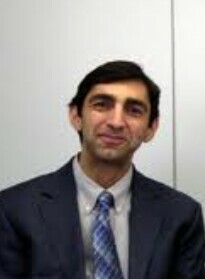 New President and COO Hash Pakbaz recently presented an update at the IEEE Advanced Packaging Materials Conference in Irvine. A few key slides are shown below. With IFTLE whispering in their ear, they are also beginning to look at 2.5 and 3D as applications suitable for this thick spin on oxide coating. For all the latest in 2.5, 3D IC and advanced packaging, stay linked to IFTLE.